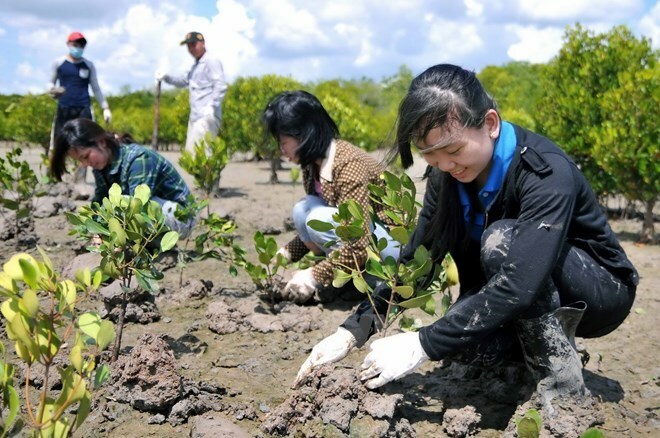 Long An (VNA) – The southern province of Long An has set a target of reaching 11.19 percent in forest coverage by 2020. Director of the local Department of Agriculture and Rural Development Le Van Hoang said that the People’s Committee recently approved a project to plant scattered trees across the locality and another to plant protective forests at border areas and in Can Duoc and Can Giuoc districts. Accordingly, from now to 2020, the province will plant 6.5 million trees with a total investment of 22 billion VND (968,000 USD).